One of the major challenges in maintaining a computer network is trying to predict what will fail and when. By combining regular and comprehensive preventative maintenance and robust real-time monitoring of critical networks and desktop devices, however, it is possible to ensure the reliability and stability of IT assets. Managed Services is an evolution of traditional support into a more proactive approach, aimed at the prevention of these system-related incidents and the associated business impact. 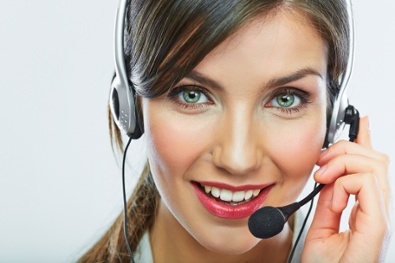 Whether you need a telephone support service to fill a specific skills gap, help and support for a specific part of your infrastructure, a fully managed help desk function, or simply want to outsource your entire IT department, a dedicated support and managed services system can make sure IT systems are fault free, used effectively and optimised for business performance. Infrastructure as a Service (IaaS) allows you to rent compute power and software licences, hosted on a multi-tenanted platform in a secure, purpose built, highly available data centre on a month by month basis. Provisioning IT in this way gives your business the benefit of enterprise-class services for a fraction of the cost and with little or no capital expenditure, and full time support. If you are looking to keep your IT in house, but don’t have either the resources or skilled staff to manage and maintain your systems, then outsourcing IT management could be the answer. Adopting this strategy enables you to concentrate on running your business whilst experts manage, maintain and make sure IT systems are running smoothly. A managed backup service ensures that the backup of important corporate data occurs as scheduled, as frequently as every 15 minutes if needed, and without error, protecting your organisation from data damage or loss. Line-of-business software is critical to the effectiveness and smooth running of organisations. As such the entire business relies on users being able to utilise applications with competence and for the system to function as they should. A managed applications service ensures that all aspects of your organisation’s applications are fully optimised to keep the business operational. Managed Replication service ensures that a continuous replication of business data is stored offsite within a secure NOC (Network Operations Centre), so if the worst ever happened your business can be back up and running quickly. Having a disaster recovery plan for data could make the difference between losing everything or just a temporary hiccup. 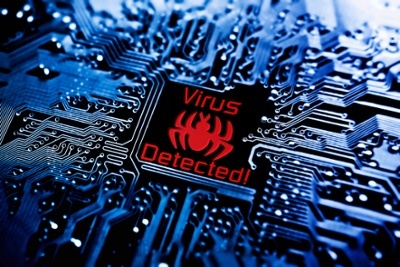 A Managed Antivirus service provides the skilled IT resources, domain expertise, centralised monitoring and management facilities and proactive approach to ensuring the protection of desktops and laptops against the ever present threat of viruses, spam and malware attacks. The volume of spam being sent today is astounding. Junk filters do a good job, but you still have to check for legitimate email and the spam is still getting to your network. All it takes is one careless click and your business could be compromised. A managed anti-spam service (for less than it costs to post a letter) prevents all unwanted email, spam and viruses from ever reaching a network. Firewall Management continually manages the operation and effectiveness of a corporate firewall. This is a complex system that needs thorough attention to keep your business secure. A primary concern for any business owner is the guardianship of customer and business data from increasing external security threats and tougher compliance requirements in regulated industries. Managed Audits provide periodic assessments and reports on your network vulnerability, compliance and configuration status. 24×7 performance monitoring ensures all of the critical network devices that comprise your business network are healthy and functionally reliable. Vulnerability assessment provides detailed analysis of an IT infrastructure to identify potential areas of vulnerability and to help with mitigation and protection.